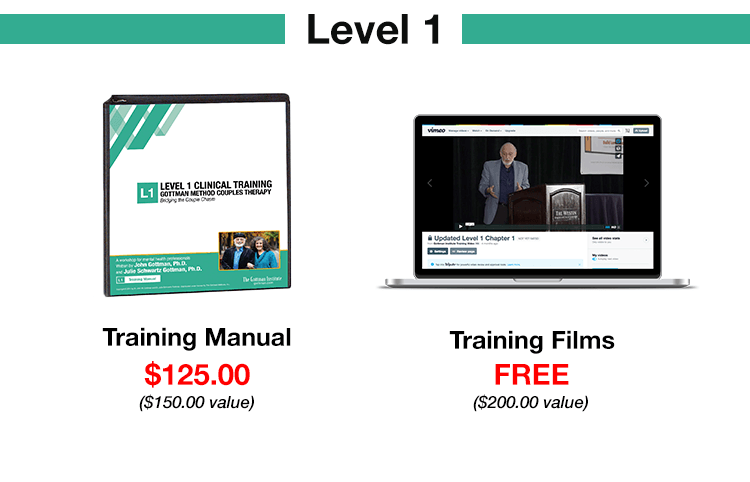 Upon completion of the full course, students will receive their Gottman Level 1 Clinical Training or Gottman Level 2 Clinical Training Certificate of Completion. 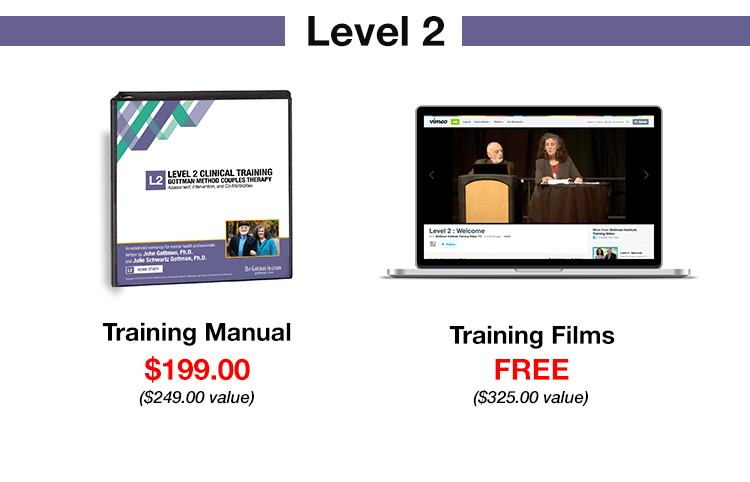 The Level 1 and Level 2 Clinical Trainings are eligible for continuing education credits through PESI. It is your responsibility to advertise the event and manage registrations. All trainings require a minimum of 10 participants. We will provide marketing resources to assist your outreach efforts. We recommend a student registration fee of $125 per student for Level 1 ($299 retail value) and $199 per student for Level 2 ($550 retail value), which covers the cost of the training manual. Note: If the participant is seeking Continuing Education (CE) hours, there is an additional $29.99 (Level 1) and $39.99 (Level 2) processing fee to be paid to PESI Inc.